Jaya always offers an amazing selection of crystals that are carefully hand selected. 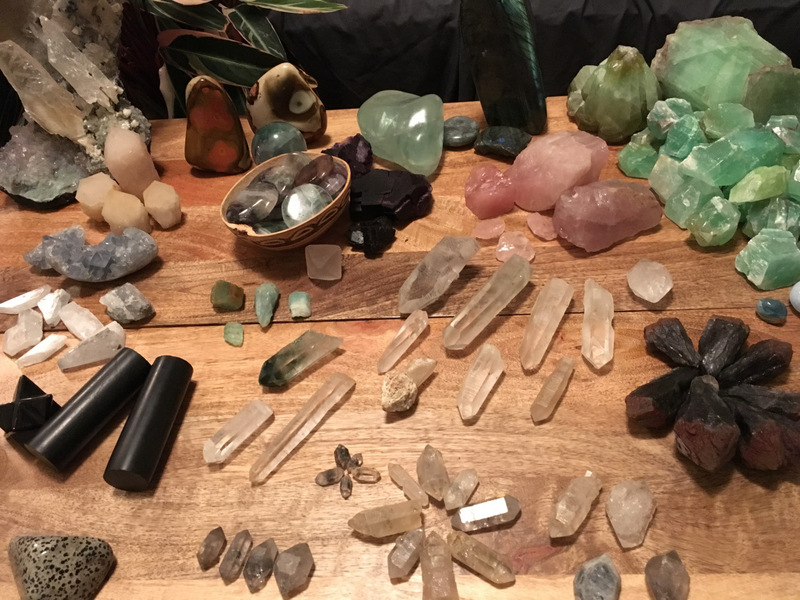 His extensive knowledge and love of crystals has brightened up the Healers Market and we’re excited to have him back for the third time! Gemenon Crystals focuses on crystal vibrations that help the body heal and the mind explore. I source crystals and gems of the highest vibration that can be used in body lay outs and for room tuning. I always offer rubies, malachite, fluorite, calcite, and a variety of quartz. I will be returning from the Tuscon gem show and my offerings will be expanded. In the past, I have focused on matching the mineral kingdom for healers and like minded souls but hope to expand that.